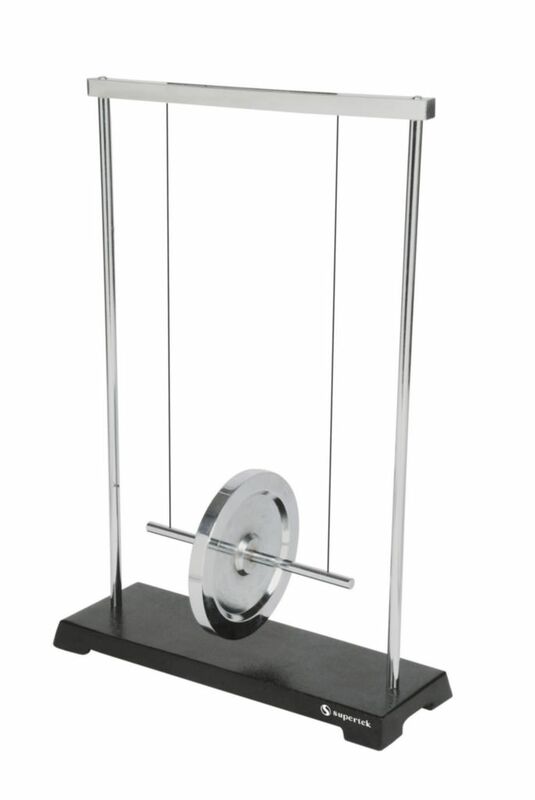 Useful for demonstrating momentum, conservation of energy and torque, this apparatus is basically a large flywheel suspended by two strong cords. The cords are wound around the shaft of the wheel and then released. 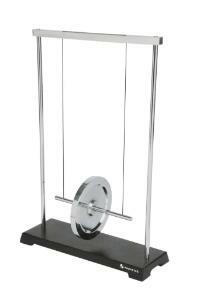 The wheel will unwind as it falls but will wind itself back up as the momentum carries the wheel upward in the opposite direction. This oscillation process will continue for several moments gradually coming to a stop as the wheel slowly loses momentum and travels less each time. Also makes a very cool table top sculpture.